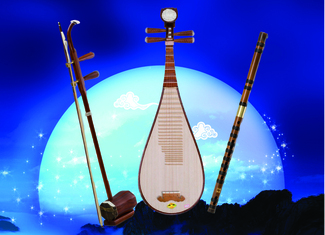 Chinese music, instruments, and dance filled the beautiful Asplundh Concert Hall of West Chester University (WCU) on Friday Oct. 3, 2014 as the fourth annual MLCCC Mid-Autumn Chinese Music Festival. Sponsored by WCU's Center for International Programs, this concert is the last event of WCU's IFest 2014. Presented by the Main Line Chinese Culture Center (MLCCC), which aims to build a stronger Philadelphia through inclusive and dynamic Chinese language and culture education, the festival featured about two hours of music, with some dance performances, that celebrates Chinese culture's Moon Festival and China's ties to Philadelphia. MLCCC music director Steve Cheng, who has an extensive background in Chinese instrument and music created the program for the event.